I would expect that I would feel more strongly one way or the other about a musical variation on “The Princess Bride” like ABC’s totally bizarre and often fascinating “Galavant,” debuting tomorrow night at 7pm CST, and yet my first new show review of 2015 could be summed up as distinctly mixed. 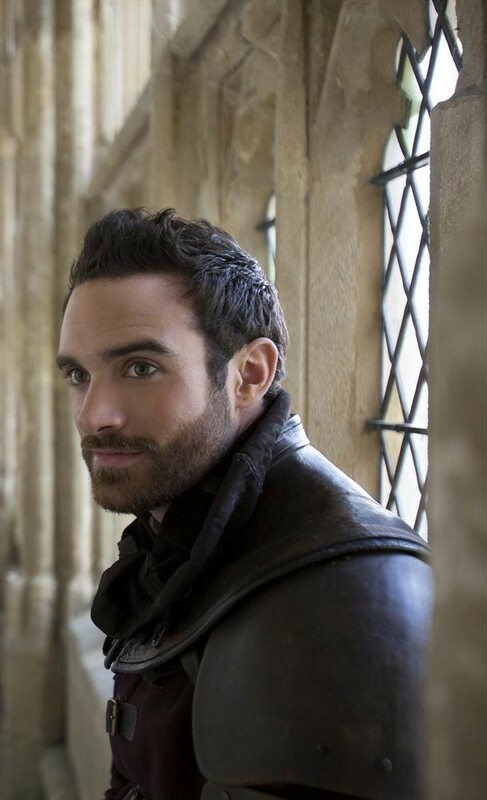 "Galavant" certainly isn’t like anything else currently on network television, which makes it consistently intriguing in the way anything different from the norm can keep your attention, and yet it’s also not quite what it should be either. Half the jokes are inspired; half the jokes hit the floor. The casting is unbalanced, with a few stand-outs and a few bland choices. The music often comes across as more of a community theatre production than a Broadway sequel to “Spamalot,” another clear influence. And yet there’s a go-for-broke thing going on here, both in the cast and crew, that is laudable. So what, a few of the puns crash and burn. So what, it’s surprisingly grating at times given its short running time. It’s also defiantly unique. And there’s something nice about starting 2015 with a show that doesn’t look like anything you watched in 2014. Did I mention “Galavant” is a half-hour fantasy musical? Cribbing from “Spamalot” and “The Princess Bride,” “Galavant” has undeniable energy, whether you like it or not. It pummels you with whimsy and wordplay, most of it courtesy of the brilliant Alan Menken (composer of “The Little Mermaid” and “Beauty and the Beast”) and Glenn Slater (lyricist of “Tangled,” another influence with its modern take on fantasy staples). It comes from the school of comedy in that if you don’t like one joke, all you need to do is wait a few seconds for the next one. It is often hyperactive, jumping from joke to musical number to plot point to musical number to bad joke and so on. It is certainly never boring, but some of the jokes are so purposefully goofy that more cynical viewers will see their brains through sheer volume of eye-rolling. When our hero began a training montage with an old-timey score version of “Eye of the Tiger,” I almost gave up. However, the fact that John Stamos’ guest star is named Sir Jean Hamm made me laugh even though I knew I shouldn’t. This kind of Fractured Fairy Tale has its audience and its place, but I’d be lying if I didn’t say I wish “Galavant” was a bit smarter. Omundson steals most of what I’ve seen, as if he’s in on the joke with his over-the-top performance more than the other actors. Sasse is a confident lead, but there’s so little time for actual character here amidst the puns and musical numbers. Don’t get me wrong. I’m not saying something like “Galavant” should be “deeper,” but we need to like the characters a bit more than I do here. “The Princess Bride” is nothing if we don’t love Wesley and Buttercup and that human, romantic element is what’s missing from "Galavant." There’s enough to like here to warrant a look for those who adore its inspirations, but those who can’t quote “Bride” or walked out of “Spamalot” may want to consider something else for their first new show of 2015, even if this is like nothing else you'll see this year.